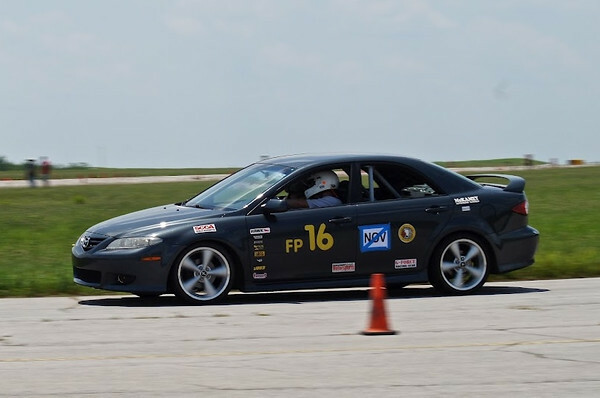 Mazda 6 Forums : Mazda 6 Forum / Mazda Atenza Forum > Technical / Performance / Model > Dyno & Track > Drive my track car for charity! Drive my track car for charity! It's time for the Tarheel Sports Car Club's 8th Annual Jimmy V Foundation for Cancer Research Autocross - July 21 & 22 in Fayetteville, NC. As a club member and supporter I’m offering the CanyonRider Mazda6 track car for you to drive. I’ll provide fuel, tires, brake pads, helmet, harnesses and instruction (if needed). You provide transportation to & from the event, your meals and lodging (if required). All proceeds going to the V Foundation. Post your bids here in this thread - pay at the event (I handle no money). Minimum bid is $35 which covers the entry fee – but hoping for a bit more for the V Foundation. It is a two day event, but I only have an opening for a co-driver on Sunday. To aid the cause, they’ll be doing the traditional raffle for great prizes donated by club sponsors with all types of fun automotive related goodies. There is an official THSCC hotel with an outdoor pool that's 2.7 miles right down the road from the coliseum. 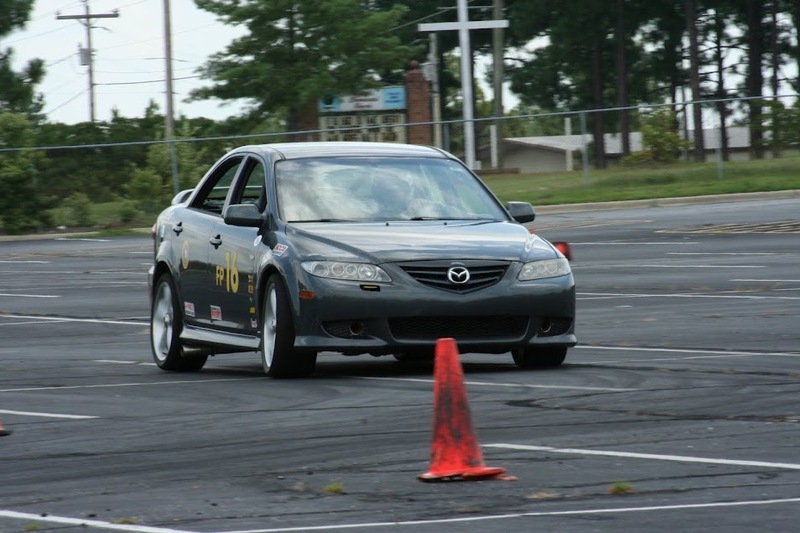 Drive a track prepared Mazda6 for a good cause! You’ve followed the build – now drive it! This forum is the only place I am offering this opportunity - aimed at fellow Mazda6 enthusiasts. 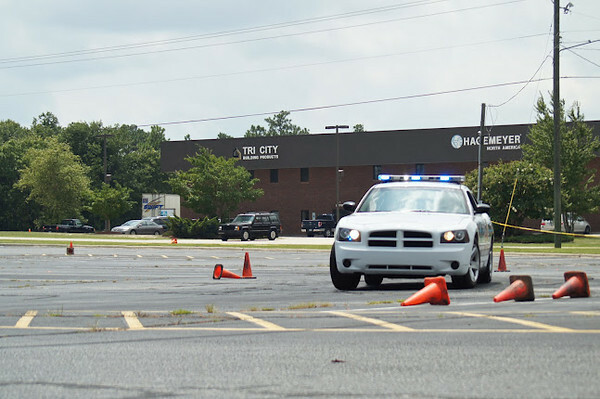 Valid driver’s license is required but no Autocross experience necessary. Show up and drive! Post up your bids! Bids close at noon EST on Friday 7/20/12 to allow time to arrange logistics. The links above should provide all the event info, but post question if you have them! It is a rain or shine event. Last edited by CanyonRider; 07-14-2012 at 10:29 AM. Over 900 views and no love for Jimmy V!? No one wants to thrash my car through the cones? I promise to shower and use deodorant . . . Didn't even see this thread to be honest. I'd love to but that's too far of a drive for me, I just don't have the time. Great cause btw - thanks for offering this. Ya'll missed a very good time. The Mazda6 was a blast. Last edited by CanyonRider; 07-23-2012 at 02:01 PM. 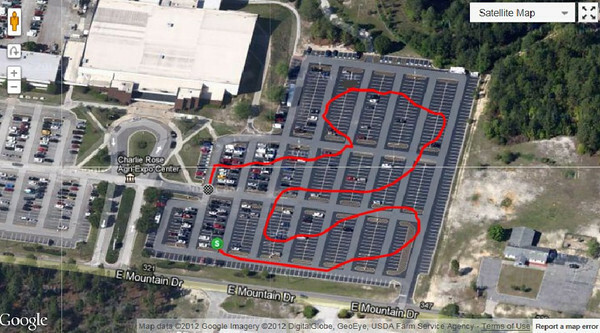 Here's the course layout - pretty good use of a big parking lot. 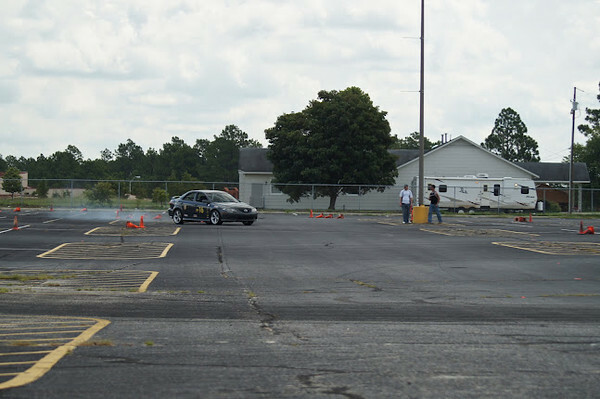 111 cars, 5 runs each ranging from 36sec to 56sec - median was about 40sec. Since I didn't have a co-driver on Sunday, I was able to offer rides to a few folks. I always get a kick out of their reaction after we cross the finish. Notice how much I turn the wheel to the right during the first LH sweeper. Not the fastest run, but entertaining. ^^ So jealous. That looked like a blast. The passenger loved that you almost hit the outside cones haha. This pic was snapped just a tad too late to catch the backend sliding and the front wheels spinning hard. Last edited by CanyonRider; 07-28-2012 at 03:26 PM. So I've been playing with my RaceRender software and telemetry data - hoping to produce some decent video from VIR next month. I know you are dying to see the 6 pass some cars. Here is the same video I posted above, except higher video quality, better arrangement of data display and the addition of a lateral -g-force meter. For VIR, I think I can also add a lap counter and lap timer - that'll be cool. Wadaya think? Oh and Clean your car!